It's 13:22 in Palmyra, USA right now. Palmyra Cove Nature Park Webcam and current weather data - camera location: Palmyra Cove Nature Park. Pennsauken, New Jersey: Bishop Eustace Preparatory School, 3.9 miles away. Cherry Hill, New Jersey: Brookfield, Weather In Cherry Hill, 5.6 miles away. Philadelphia, Pennsylvania: Green Woods Charter School, 8.1 miles away. 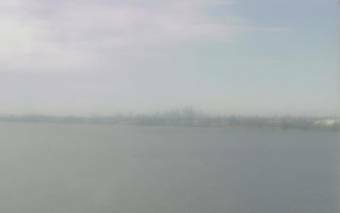 Philadelphia, Pennsylvania: WeatherCam Philadelphia: Phanatic, 8.1 miles away. Voorhees, New Jersey: Franklin Square, Voorhees, NJ, The Voorhees Weather Station, 11.3 miles away. Collegeville, Pennsylvania: Upper Providence Township, 25.6 miles away. Royersford, Pennsylvania: Pope John Paull II High School, 29.6 miles away.